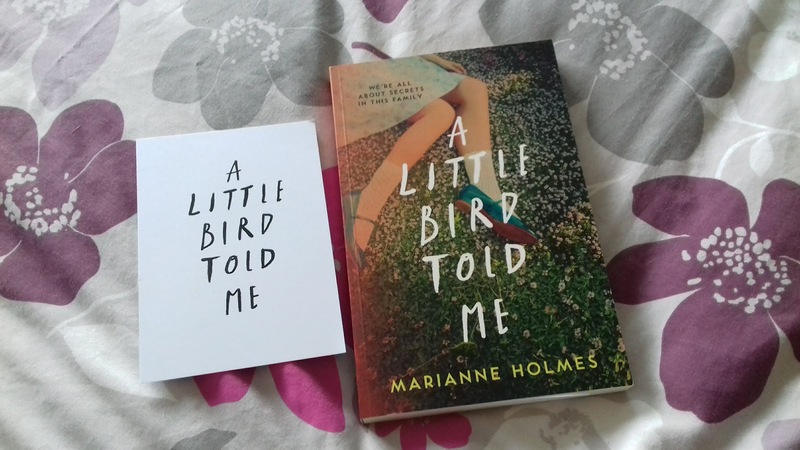 #BookReview A Little Bird Told Me by Marianne Holmes #PublicationDay @AgoraBooksLDN | Books and Me! All things Bookish and more! Posted on September 13, 2018 by Books and Me!! In the scorching summer of 1976, Robyn spends her days swimming at the Lido and tagging after her brother. It’s the perfect holiday – except for the crying women her mum keeps bringing home. Twelve years later, Robyn returns home, to a house that has stood empty for years and a town that hasn’t moved on, forced to confront the mystery that haunted her that summer. And atone for the part she played in it. When a story constantly makes reference to a family with the same surname as you, you find yourself a little more invested in a book and that is exactly how I felt whilst reading this! It was quite a shock to see the surname ‘Mace’ when it first popped up in this gripping drama, and I just kept hoping that terrible things weren’t about to befall this family!! It became personal haha!! But the tension throughout this book was the hook that kept me transfixed! It follows 2 siblings – Robyn and Kit – as we see the in childhood and then as adults as they try and make sense of the goings on that Summer, and why they feel compelled to go back ‘home’ to try and get some answers. Setting the book in 1976 made for some great retro mentions that really brought back the era to me! And knowing how hot and sunny it was that Summer really made the contrast to some of the darker goings on around the family work so well. Robyn and Kit never really knew why their mum would take in these crying women to their home, and then when a man in a cowboy hat would start hanging around trying to talk to them, things started to turn a little sinister and the panic set in for their mother who kept things very close to her chest. When they go back home after years away, they are still viewed with suspicion by many of their friends and neighbours and you become intrigued as to what really happened to make so many people feel so strongly about their return. The more they discover, the more the importance of telling the truth becomes Telling lies is a dangerous game for all those involved. There is an awful lot to explore with this book and I loved how effortlessly the story flowed from then to now – Robyn was clearly damaged by events in 1976 and it was fascinating to see how such a carefree childhood could quickly become so tarnished. A gripping debut and I can’t wait to read more from this author in the future! This entry was posted in books, review, Uncategorized and tagged A Little Bird Told Me, Agora Books, book blogger, book review, debut, Drama, Fiction, Marianne Holmes, september 2018 by Books and Me!!. Bookmark the permalink. It’s one of those books that draws you in quite quickly!